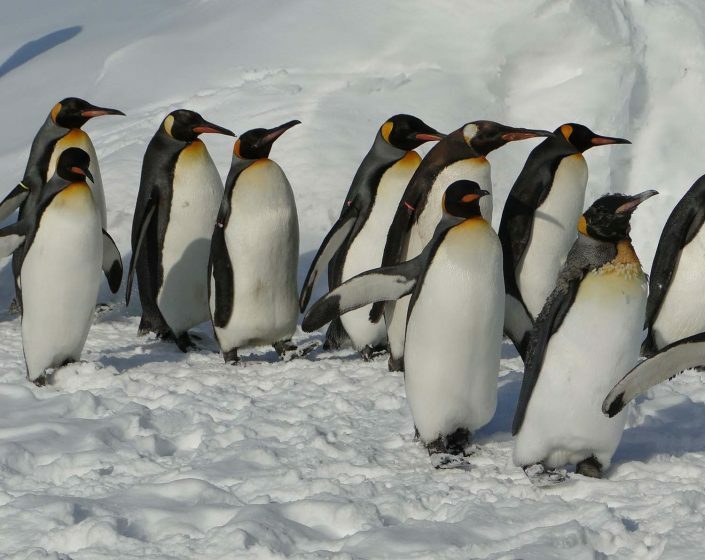 Penguin Walk was created leveraging the King Penguins habit to go hunting to the sea in a group. 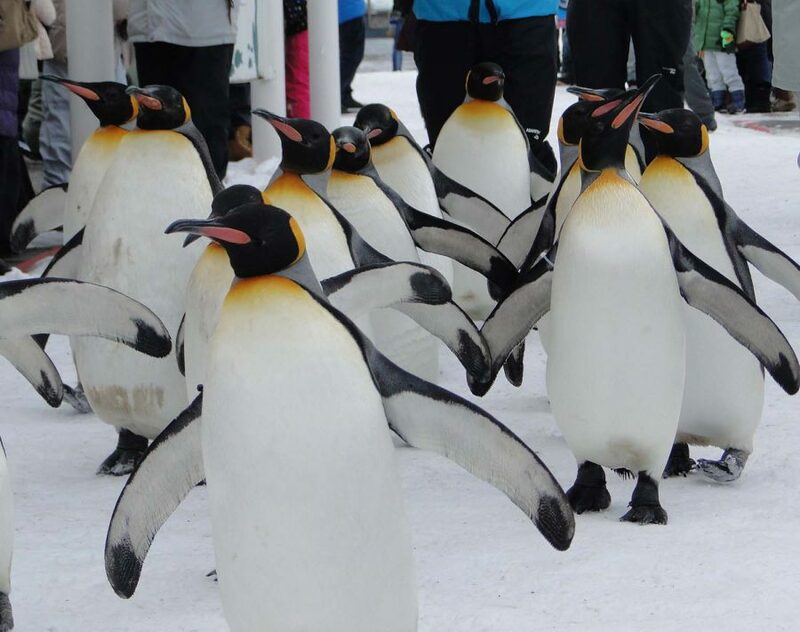 See how they walk in a file. 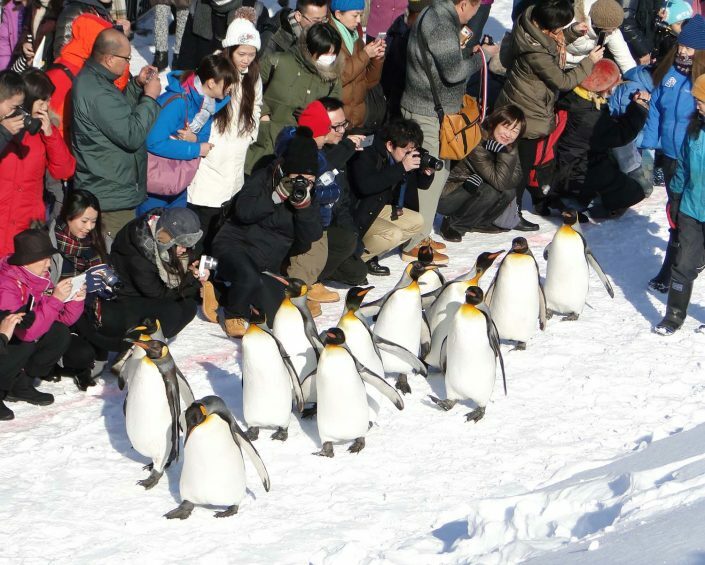 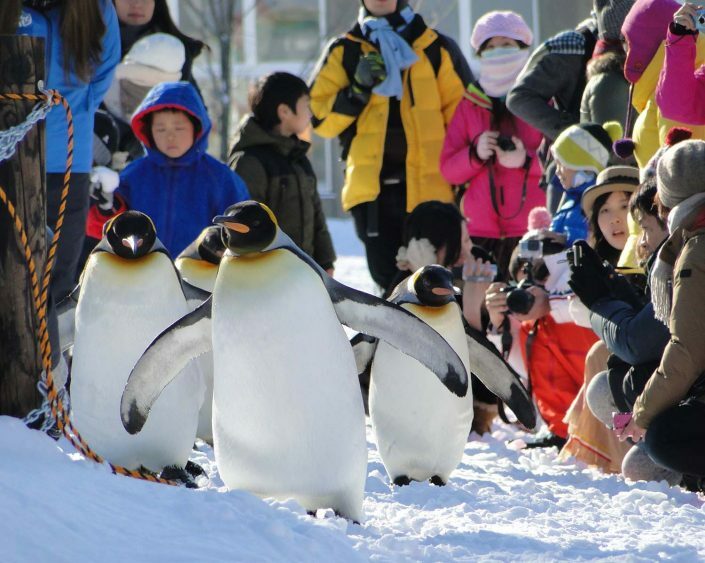 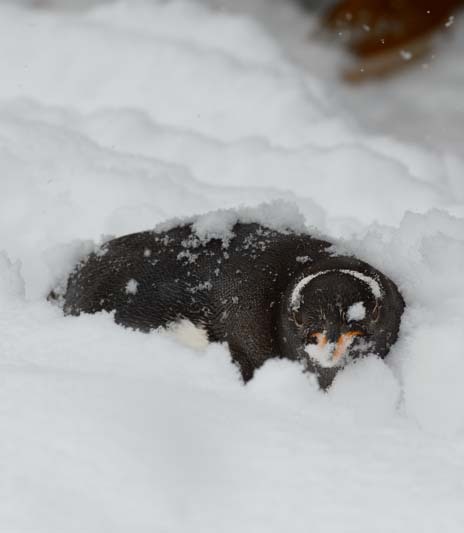 More excitement is added when Gentoo Penguins join the adventure. 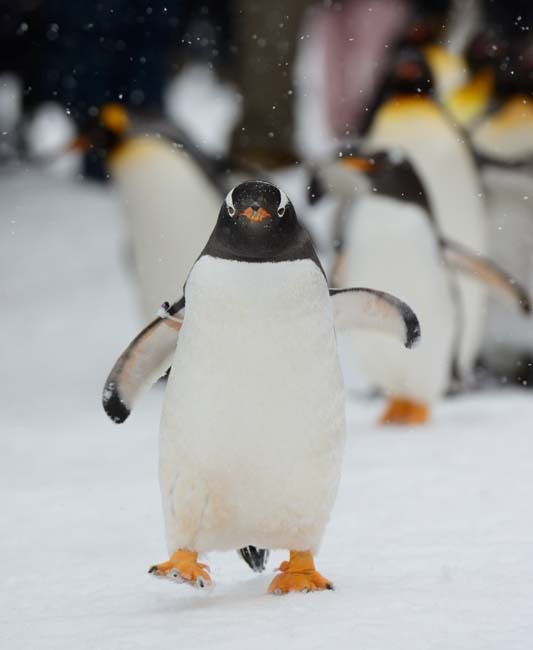 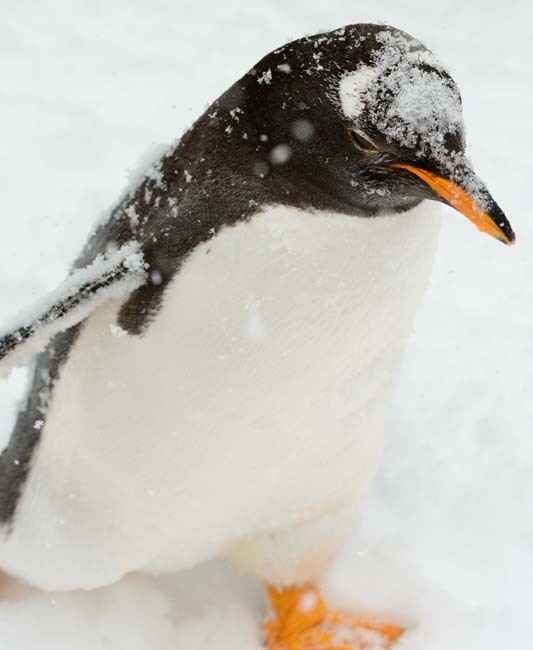 Gentoo are super curious, independent and love adventure. 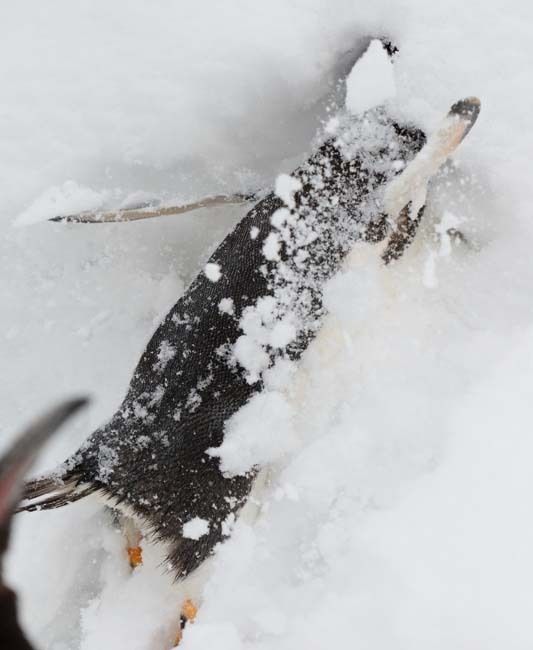 You can see him play and dive in the snow.